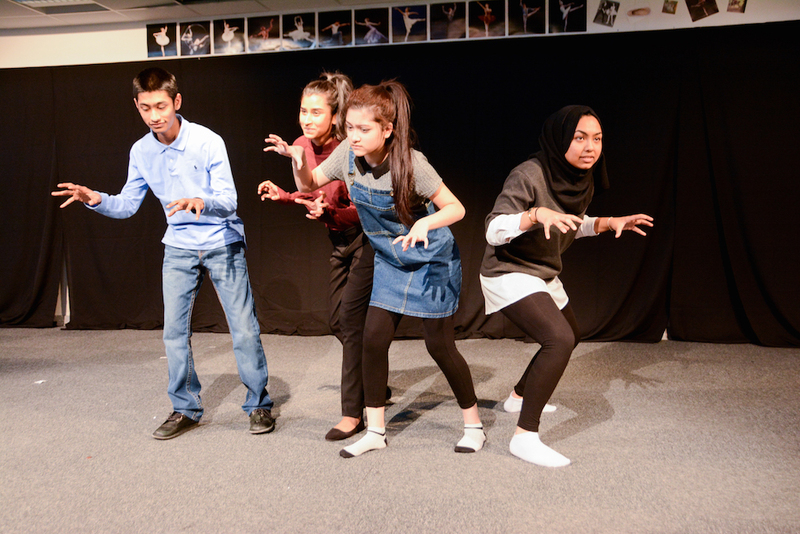 The GCSE Drama students have just completed their final assessment performances before a team of moderators. There were four groups in total, each with their own unique story that they had to tell. The theme this year was ‘consequences’ and each performance was in some way related to this central theme. 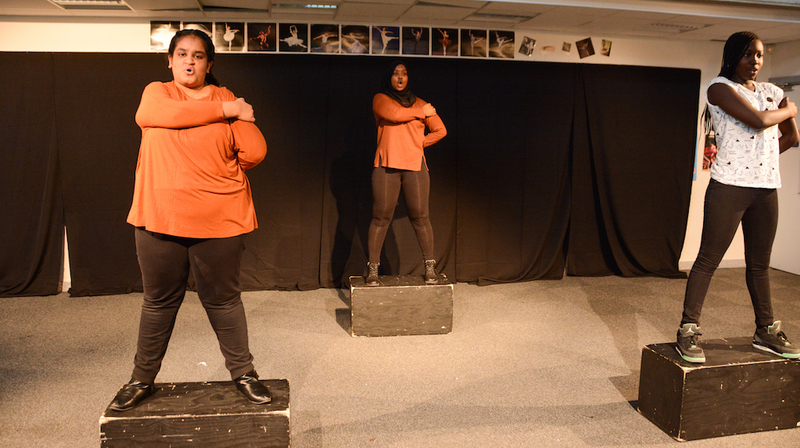 The plays which were performed were; ‘Arbeit Macht Frei’, which translates to ‘Work sets you free’ – a story based during the Holocaust. ‘Josephine the Angel’, a story about a group of fighters caught up in the events of the September 11 World Trade Centre attacks. ‘The Disappeared’ tells the tale about a group of mothers in Argentina, protesting against the abductions of their families and loved ones, and finally ‘Little Red Riding Hood’, an alternate version of the well known classic where instead Granny falls in love with the wolf. Since the beginning of the year (when the students first received the scripts), the GCSE Drama students have been working very hard to bring these productions to life. Dedicated to the cause, the students spent countless hours in preparation, rehearsing during lunch breaks, coming in after school and stealing any other available opportunities to give their productions their all. What started as a standard script, slowly evolved over the course of months of hard work. 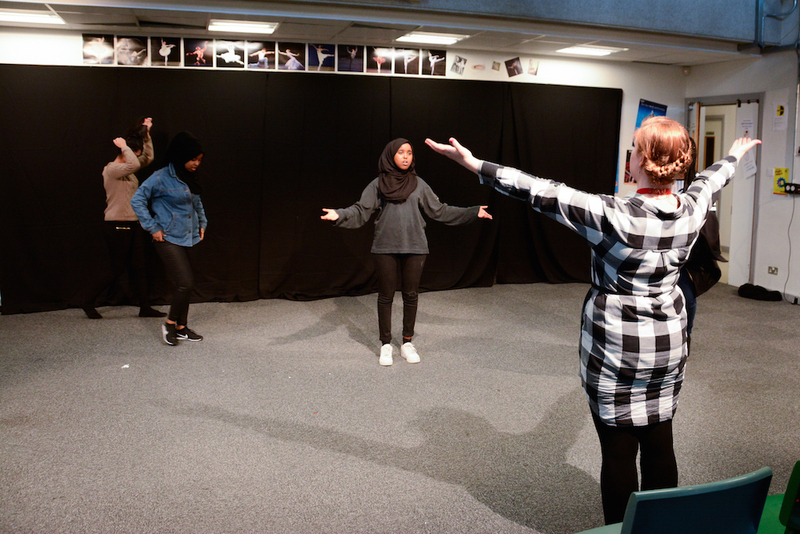 With the collaborative support of Ms. Hibbert (Head of Drama), the students developed their scripts by adding in monologues, bringing in elements of physical theatre and adding movement to music. Overall the experience was completely enriching for both students and staff alike. “I am very proud of their efforts. The whole creative process was a lovely experience, they approached it as if they were professionals. It was completely inspiring, I sometimes forgot that I was working with students! This is a true testament to their hard work and dedication”. Congratulations on a fine effort by our GCSE Drama students.